Over 44 million American adults have a mental health condition. 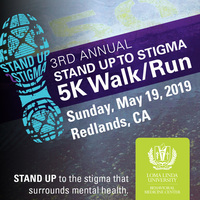 The Loma Linda University Behavioral Medicine Center's annual 5K is a family-friendly walk/run that aims to bring awareness to mental health issues in our community. JOIN US ON SUNDAY, MAY 19, 2019, FOR OUR 3RD ANNUAL EVENT! 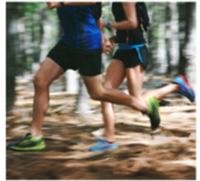 A t-shirt, runner's bib, medal and food/refreshments will be available to the first 700 paid registrants. After the race, enjoy our post-race bash featuring a bounce house for kids, photo booth, food/refreshments, mental health information and more! All PROCEEDS will benefit the construction of a new multipurpose outdoor therapeutic space for our patients. 7:00 am - On-site registration and Event check-in (t-shirt/bib pick-up begins) at 1686 Barton Road in Redlands. 7:45 am - Announcements begin. 8:00 am - Race start time. 8:30 am - Post-race bash begins. Enjoy refreshments, a bounce house for kids, face painting, a photo booth, and more!